Description: Get a free customizable fishbone diagram template right now. 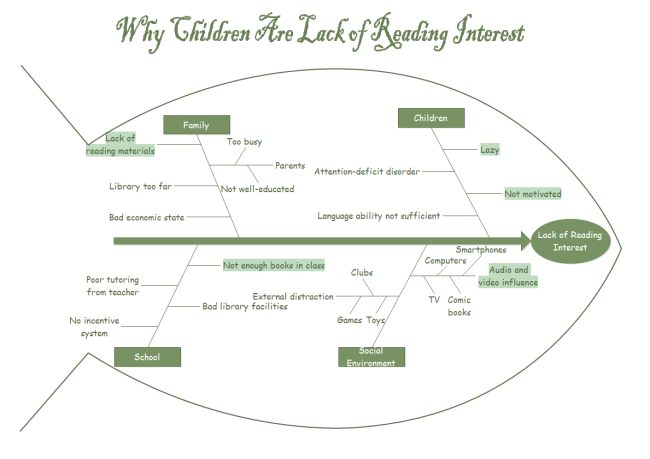 This diagram is about why children are lack of reading interests, provided to download and print. You don't need to start from scratch and you don't have to empty your wallet for professional diagrams. Here is a simple fishbone diagram creator: Edraw Max which easy to use and supports various formats.